You can get from Paris to Normandy via train or by car in under two hours, making it a popular destination for day trips from the City Of Lights. 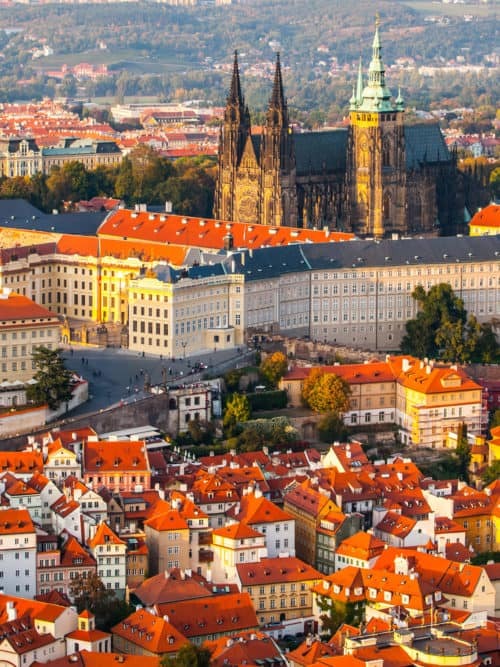 However, the region’s rich history – from medieval times to modern WW2 history – justifies a longer visit. Join me as I explore traveling to Normandy in preparation for our up and coming trip to this area in March 2017. Why are we traveling to Normandy? You may recall we’re flying to Paris in late March. Basically, it’s a clean slate for this trip. We can’t stay for too long because we have another trip coming up in August and that one will be a long road trip from California to Alaska and back. 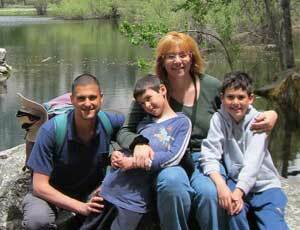 Last week we met a couchsurfer friend from France whom we hosted five years ago. When he heard that we’re coming to Paris, he suggested that we come and stay with him for a couple of days, at his home in Normandy. So I began researching and wow, there’s so much to do and see in Normandy! Our little “hop” to Paris could end up being a trip to North-east France. Ooh la la! 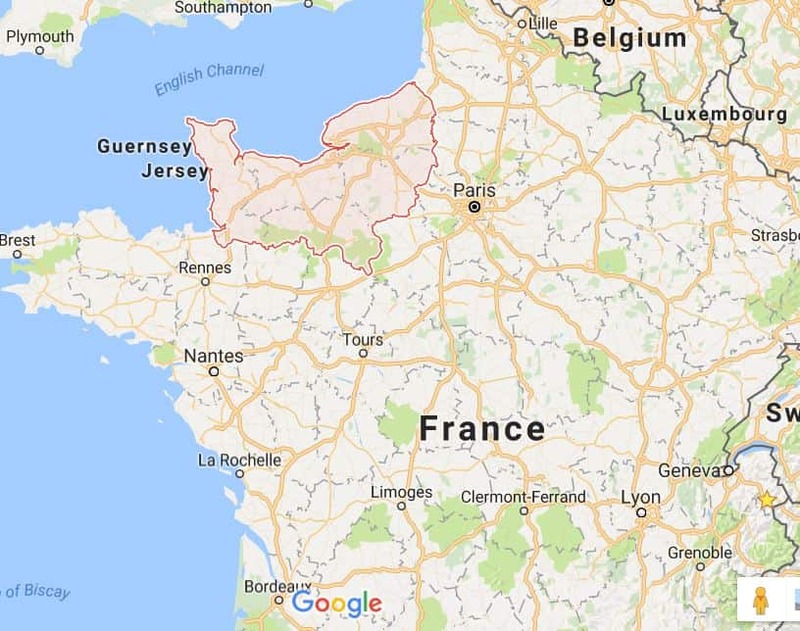 Normandy is in north-eastern France, taking up 5% of the country’s territory. 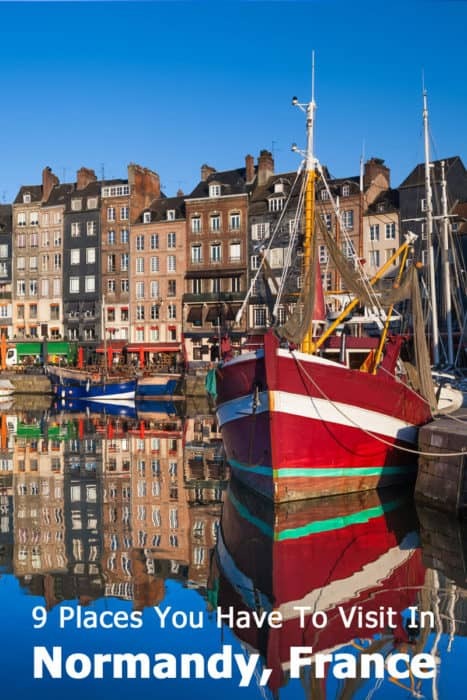 Whether driving or taking a train, it’s approximately a two-hour long journey from Paris to Rouen, Normandy’s regional capital. The proximity makes Normandy a popular destination for day tours from Paris but I really do think it’s worth a longer tour. Is Normandy really a good destination for a day trip from Paris? 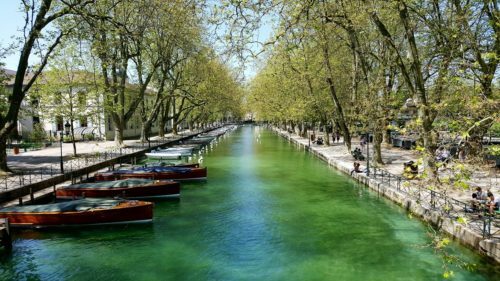 Keep in mind that while getting from Paris to Rouen takes about 2-3 hours (depending on traffic and your location within Paris), if you want to visit the beaches of Normandy – specifically the famous beaches of the D-Day invasion – the journey becomes longer. Driving for 4-5 hours in each direction, you should at least stay the night in the area before heading back to Paris the following day. Normandy is rich in history. If you like old churches, cathedrals and castles, or just picturesque medieval towns and villages, you can spend weeks in this area. Rouen in itself could take up a couple of days out of your itinerary, with its beautiful old town area and the famous Cathedral of Rouen. For fans of modern military history, Normandy is a bucket list destination. After all, this is where one of the most important battles of WW2 took place: Hundreds of thousands of soldiers landed on Normandy’s beaches and spearheaded the campaign to liberate Europe from the Nazi occupation. Today, Normandy offers the traveler numerous sites, memorials, museums and other landmarks all about the D-Day invasion. In fact, Normandy is so rich in WW2 historical sites that I’m going to dedicate a separate post just for that. Seeing at least a few of the D-Day sites is going to be high on our list when traveling to Normandy, so I’m working on a separate list just for those. In this post, I’m going to focus on other places to visit. Cathedrals, medieval villages and mighty sea cliffs, here we come! Edit: The post about the WW2 sites is ready! WW2 D-Day sites to visit in Normandy. 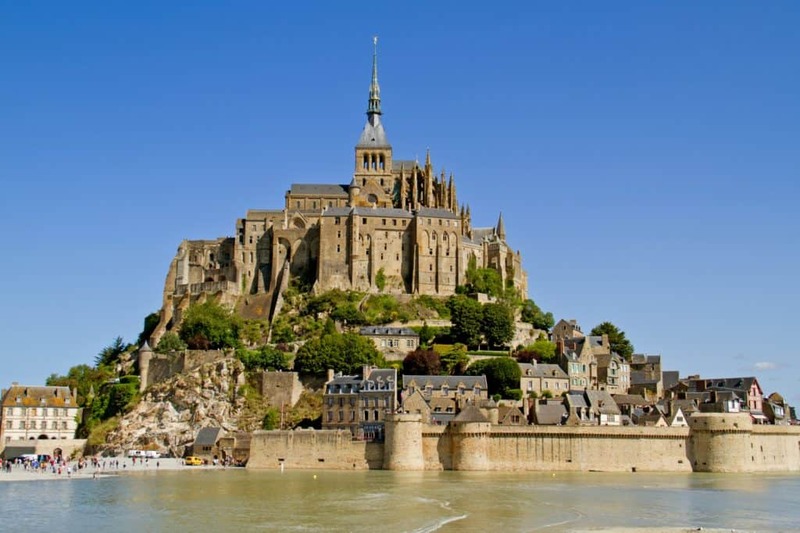 Normandy has a fascinating history. Let me run a quick recap by you. If you’re not interested in a short history lesson, hop over to the next section of this post. Cave paintings prove that this area was populated by humans back in prehistoric times. Celtic tribes made this place home and they were the ones the Romans found when they conquered Normandy, some 2400 years ago. The Romans took over, built roads and infrastructure and generally managed the region like only the Roman empire knew how to for several hundreds of years. Fast forward to the third century (AD). As the Roman empire collapsed, Normandy was hit by Saxon pirates from the north and Germanic tribes from the east, and finally, by the mighty Vikings! For hundreds of years the region was one huge battlefield between these various tribes. Not fun for the locals, I’m sure. Some of these invaders stayed and made the area their home. By the end of the first millennium, we pretty much have a new local people – the Normans. They’re a nice balanced mixture of everyone that I’ve mentioned so far, beginning with the celts/gauls and the people who invaded them and became part of the local population. You may have heard of their king, William. He’s also known in the English-speaking world as William the Conqueror because he got fed up with it all and decided to invade instead of being invaded. He led his army across the channel and into a war that culminated in the Battle of Hastings in 1066. That’s when William from Normandy became King of England! You’d think that would quiet things down, but it didn’t. For the next few centuries, poor Normandy once again became a battlefield as the English and French fought over it. Remember Joan of Arc who fought the English? She was a local, born in Normandy and burned at the stake in Rouen. Sorry about the long history lesson, this will be the last paragraph. From the 15th century, Normandy stays French. Not always peaceful, but under French rule. The next occupation takes place in the 20th century, as Nazi Germany takes over France. In 1944, Normandy makes a grand comeback into the stage of world history with the D-Day invasion. Is this the comprehensive list of everything there is to do while traveling to Normandy? Most certainly not. The list of villages, small towns, cathedrals, churches and museums will be almost endless. Ok, maybe not endless but it does run into the hundreds. This list reflects the highlights of the area and what I think might be interesting for our family to see and do. Trust me, it’s too long as it is. We’ll end up picking just a few items for our visit. I hope it’ll help others find the right items for their own itinerary. You have to visit Rouen, the regional capital, for the cathedral, the half-timbered houses and the overall sense of history. 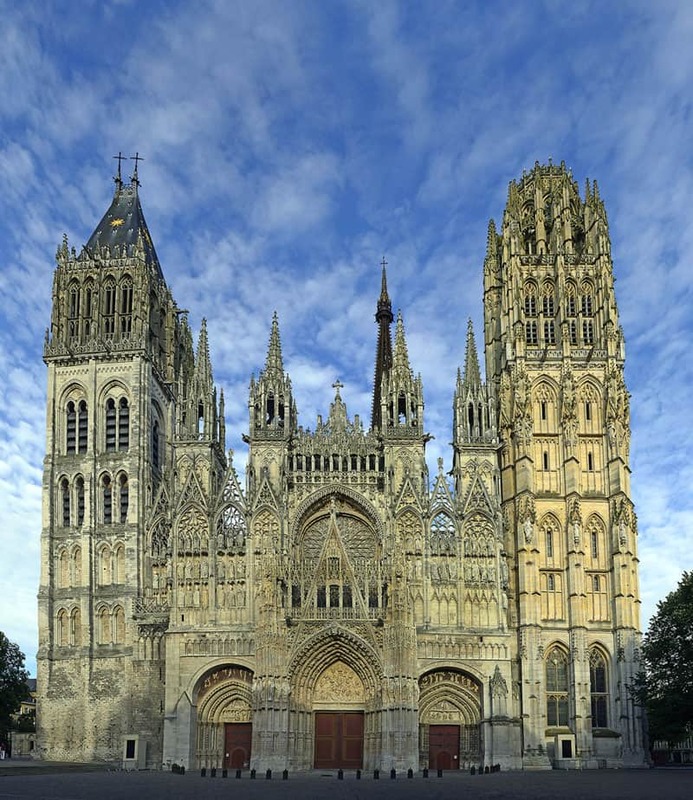 The Rouen Cathedral, locally known as the Cathedrale Notre-Dame de Rouen, is a massive gothic-style structure which dates back to the 12th century. The cathedral should be seen from the inside as well. Opening hours for the Rouen Cathedral are at least 9am-6pm (an hour longer during summertime) except for Monday when the Cathedral only opens at 2pm. The old town of Rouen is another must-see item when in the city. In French it’s called Vieux Rouen and it’s a small area just north of the cathedral. Don’t miss out on the Rue du Gros-Horloge, where you can see the great clock of Rouen – dating back to the 14th century! Another place to visit would be Place du Vieux-Marche where Joan of Arc was burned at the stake. If you’re looking to add another point of interest, check out the impressive gothic St. Ouen’s Abbey (also known at St. Owen’s Church) which is right near the city hall (hotel de ville) and has nice gardens around it. Admission is free to all of the above. 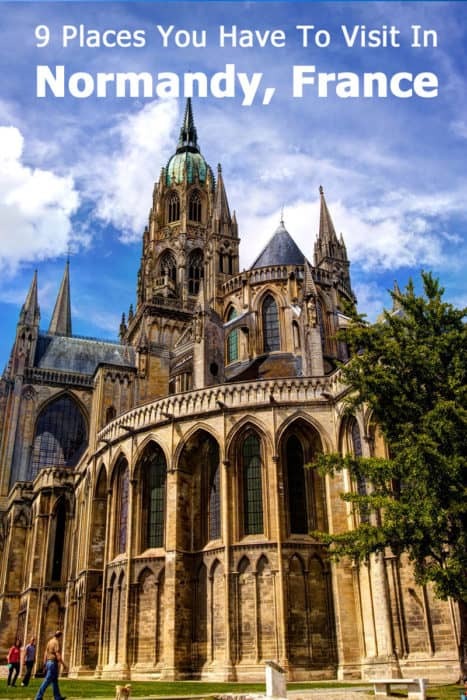 The town of Bayeux is on our list of Normandy destinations mainly thanks to the Musee de la Tapisserie de Bayeux. 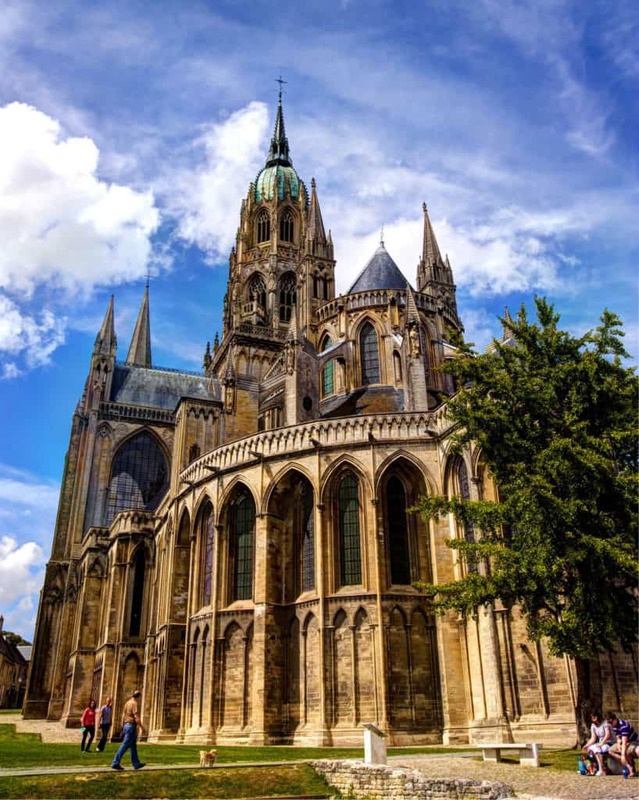 This is where you can see the world-famous Bayeux Tapestry, an embroidered work of art which spans the length of 230 feet. This incredible tapestry is about 1000 years old and depicts the story of Norman conquest of England. It’s just amazing that we can see it today. Opening hours: 9.00 am to 6.30 pm (shorter during some winter months, so check website). Admission: 9 Euro for adults & 4 euro for youth (other discounts available). 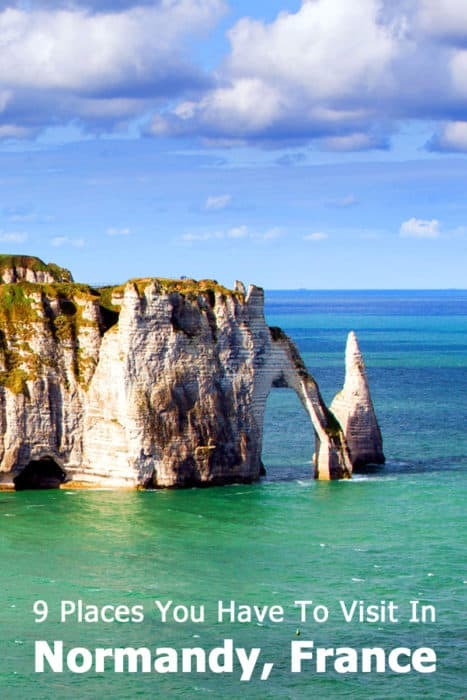 North of the Seine’s rivermouth, you’ll find a unique coastal feature: 140 kilometers of white cliffs that gave the place its name, Côte d’Albâtre or The Alabaster Coast. 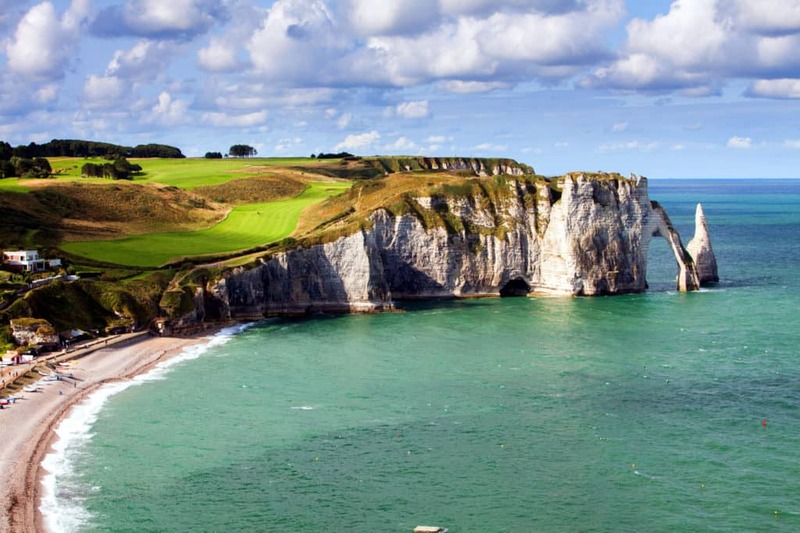 The best place to experience the majestic cliffs is near the town of Etretat. You can walk from town to view the area at sea level and then continue either north or south along the promenade and trails, as they climb on the cliffs to give you spectacular views of the unique rock formations. 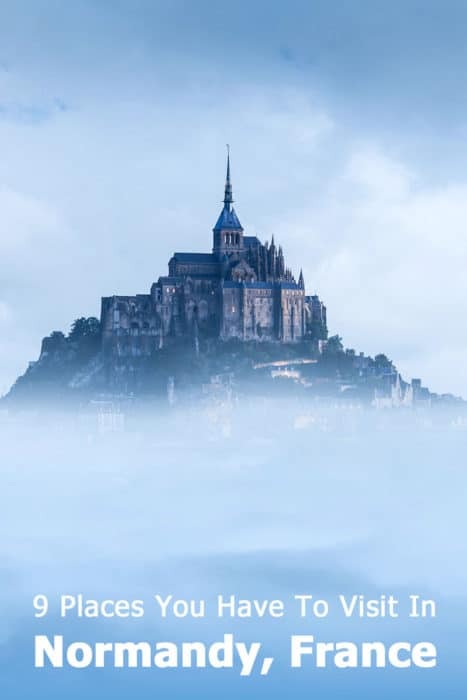 If you’re going to see just once castle while traveling to Normandy, it might as well be the one that belonged to the mythical king who conquered England in 1066. The castle has been restored to its former glory and offers one more really neat feature to the visitor: an iPad that shows you an additional layer of virtual reality as you walk inside the rooms. In fact, you can take the virtual tour on their website here and see for yourself. Opening hours are 10 am – 6 pm (7 pm in July-August). The castle is closed during January. Admission fees are very reasonable at just 8 euro for adults and 4 for youth. If you’re a fan of French impressionist Claude Monet, traveling to Normandy can afford you with a unique opportunity to step right into one of his paintings. A bridge over a ponds of water lilies? Weeping willows in the morning? It’s all still there in the town of Giverny. The gardens are open to the public from April to October, 9am – 6pm. Admission is 10.2 euro for adults (7.2 for youth) and it includes entry to both a flower garden and the famous water pond garden. More information on their website here. 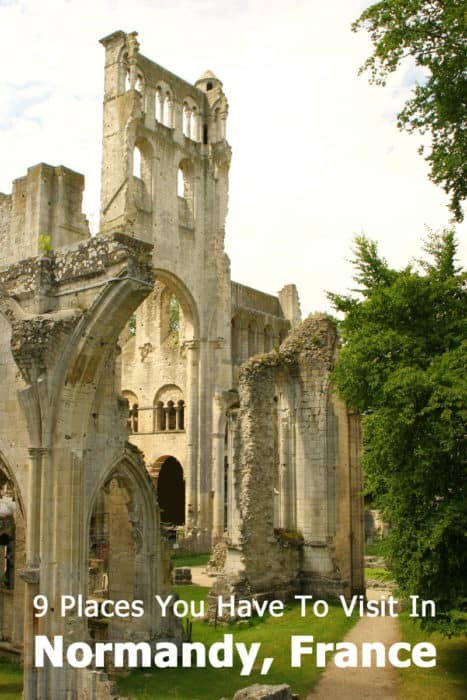 If you’ve had enough of cathedrals, try visiting the ruins of the Jumieges Abbey in the town by the same name. 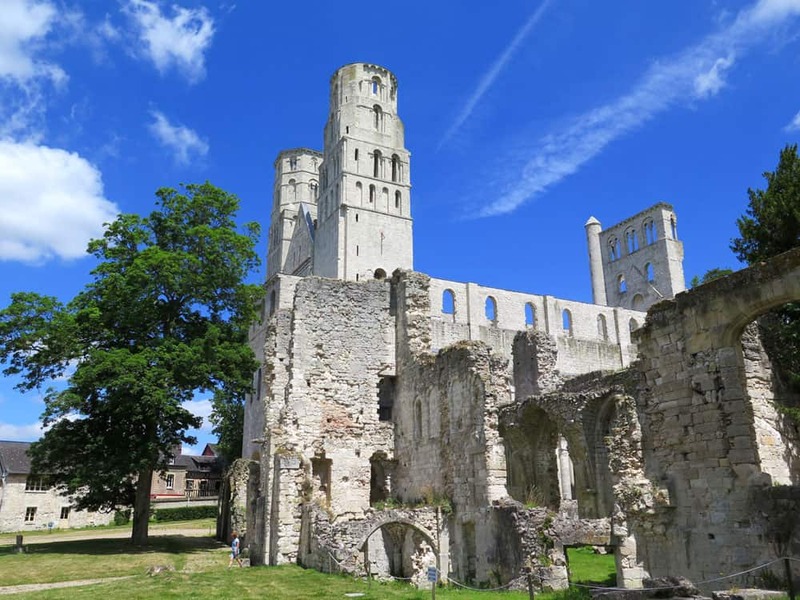 This former benedictine monastery was first ruined by the vikings, restored by the church and then dismantled as a monastery during the French Revolution, leaving behind these majestic ruins. The coastal town of Fecamp is the birthplace of the famous Benedictine liqueur. The Benedictine Palace – Palais Benedictine – is the home of the local distillery. 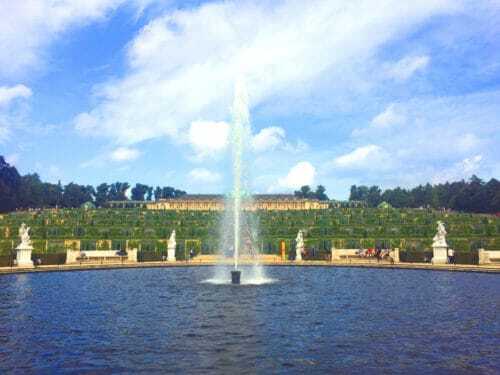 You can try some of their special elixir as part of your visit or just admire the intricate decor of the baroque-style palace. The price for a self-guided tour is 8.5euro for an adult and 3.5 euro for youth. It’s open throughout the year but the exact opening hours change according to the date, so check their website in advance. These are large wooden structures – carefully preserved to reflect their medieval origins – are home to a lively local market on Saturday mornings. They are located at the town of Dives-sur-Mer, where walking around in the neighboring Village D’art Guillaume-Le-Conquerant, completes the medieval French experience. There’s more information about these places in the town’s website. 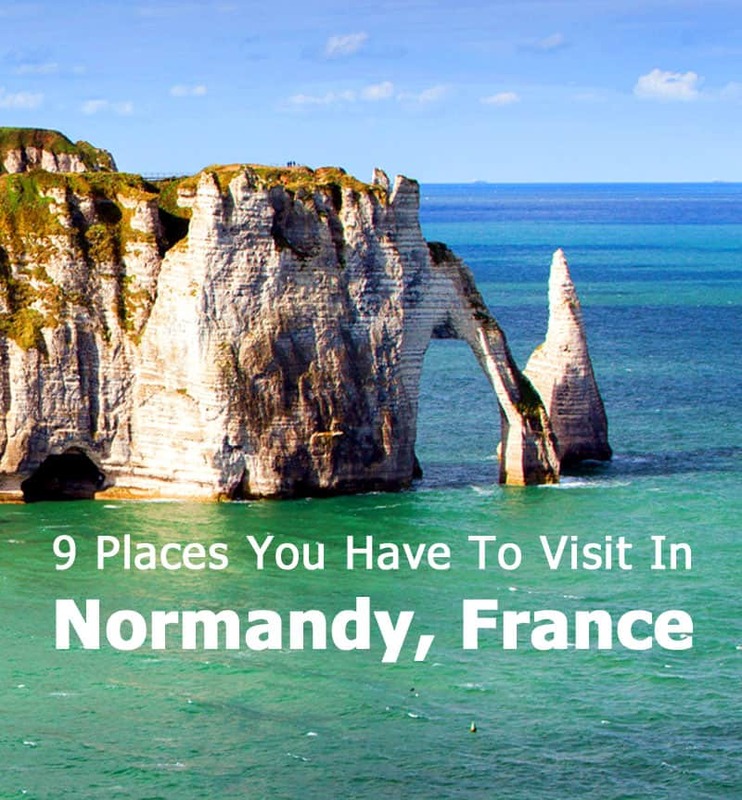 This post is already getting too long but I have to mention a few other places that come highly recommended for those traveling to Normandy. Two more castles which almost made it to this “Top Nine” list are the Chateau of Carrouges and the Chateau Fort de Pirou (clicking their names will get you to their respective websites). 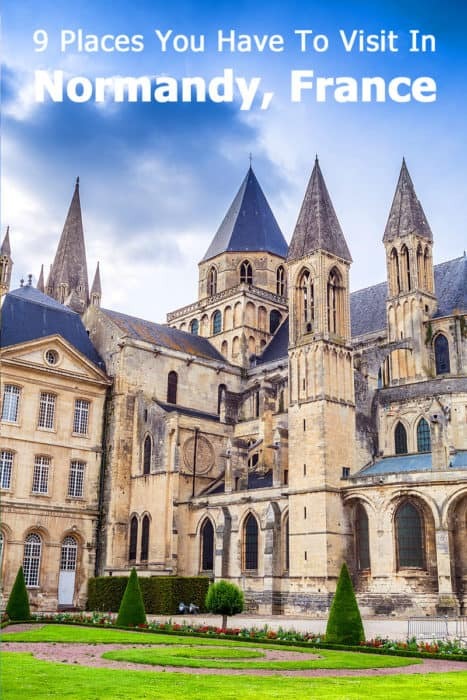 If more cathedrals and churches are your thing, then check out these three: Cathedrale Notre Dame de Evreux, Cathedrale Saint Pierre Lieieux and Abbey of Saint-Étienne also known as Abbaye aux Hommes (Men’s Abbey) in Caen. Whew, long list! And we didn’t even touch on all the WW2 D-Day sites. That’s going to be the topic of my next post which I suspect could be just as long. For now, here’s a map that shows you the locations of the places mentioned in this post. Click on the icon in the top left corner to see the list itself. Have you ever visited the area? Any tips for people traveling to Normandy? Places that I need to add (or take off) this list? I’d love to get your feedback, so don’t be shy and leave me a comment! I’ll leave this post with a bit more eye candy about traveling to Normandy. Please pin on Pinterest if you can and thanks in advance if you do! Thanks for the additional tips, Mary!